Got 8 of these for 1.99 each. So adorable. I think of getting more. 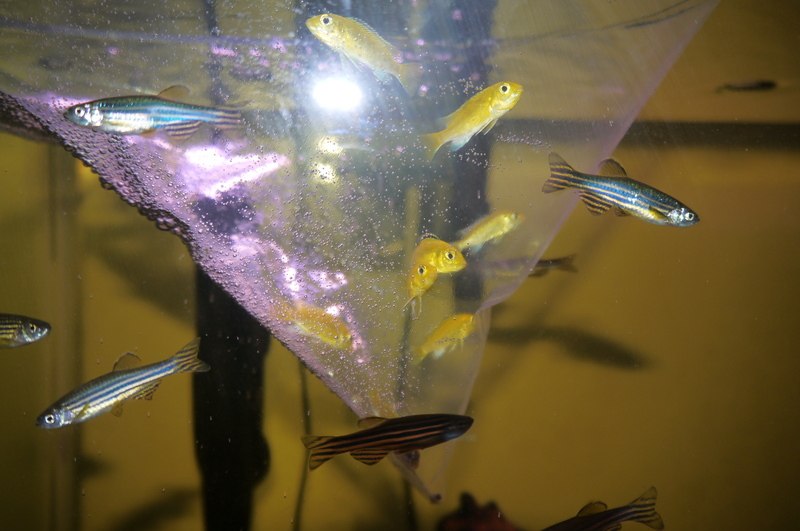 I want to do an all electric yellow african cichlid tank. Its been so long since I've made a post on livejournal. This blog was my life way back then. I've been so busy with my goals that I've forgotten about it. I would definitely love to go back to blogging. Its therapeutic, no doubt about that. I've been out of college for more than a year now (graduated) and I need to stay sharp on writing, expressing myself, etc. Dont get me wrong, I love blogging but I had a lot of things going on in my life. The major updates: I graduated 2013, got a job I hated then got a good job starting January 2014, I'm now in a healthy relationship, been going on trips with him ever since we met in May 2014, I worked on one of my biggest goals (have a piece of American Land). I've been working working working and on my days off since I moved in September, I've been renovating. Sometimes I can't believe at what I've accomplished but I'm here, living and much more at peace than where I was last couple of years. Just being able to type on my laptop brings me back memories. Oh how I've missed blogging! Now that I'm more settled at my job and at my new place, I will definitely take my time to write blogs. I now have an office for it. Woo! Thanks to my cousin, she has introduced me to my newest favorite t.v. show; Modern Family! I've only seen the first 7 episodes but I was hooked on the pilot ep. This show is hilarious. One of the best sitcoms I've seen. I love the humor, the puns, the wit, everything about this show. And let's not forget, how "modern" the families are in this sitcom! I especially love the gay couple (obviously), the foreign lady with a heavy accent, and the quirky dad. If you've seen it, you know who I'm talking about. I really love this show; from pun after pun to the quick camera zooming on their faces. I LOVE IT. This show is what I've been looking for because I've been needing to cheer myself up since Cam is away for a bit. I can't get enough of it. I'm always smiling/laughing every minute while I watch this show. It's GREAT. Even greater than Sh*t My Dad Says (which I'm still pissed that they canceled), Big Bang Theory, and even How I Met Your Mother (which I don't think is funny AT ALL). Super 8? More Like Super HATE! Has anybody seen the latest episode of Southpark where Stan thought everything was "crap"? Well I felt like that while watching Super 8. I thought it was over hyped. It was disappointing. I felt that there was no climax at all but rather just a constant climb only to be disappointed. The kids' acting were splendid but that was pretty much it. SPOILER: It was so predictable. A bunch of wanna be "GOONIES" discover there's an alien (a tiny version of the Cloverfield monster) on the loose. Alien kills everybody except the kids. Alien abducts one of the kids. They rescue the kid. Alien gets pissed off. Kid with testicles confront him. Alien shows empathy. Alien goes home. This Rotten Tomatoes review sums up how I felt about this movie. The good thing about a Zombie series is that the story goes more in depth so you actually get to know the characters; you get attached to them and the whole story is not crammed into an hour and a half. Plus, if it's successful, the series goes on for a while. The Walking Dead is what I've been looking for. Congrats to Philippines making it to the top 5. I must say that she picked the wrong judge. 4 out of the 5 questions were debates while she got the "WHAT MISTAKE DID YOU MAKE?" Too bad so sad. Oh well. At least Philippines is not on the worst list of costumes this year. I'm gonna start with the good ones. The ones that I thought were awesome. I'm giving the KICKASS COSTUME to Thailand. (In my opinion, this is the best costume I've ever seen in Miss Universe history.) It's just that awesome. I knew everybody would love it. It's just that awesome. Reminds me of Soul Calibur a lot. As a celebration for the upcoming Skyward Sword, this blog is about my favorite bosses in Zelda history. (only the 3D ones though; Ocarina of Time, Majora's Mask, Wind Waker, and Twilight Princess.) I will start with number 10 and lead up to what I believe is the coolest boss yet. I saw the new Clash of the Titans this past weekend. 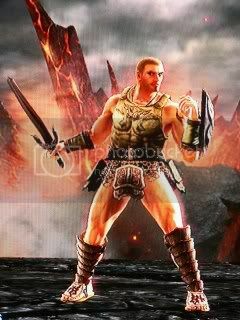 After watching the movie, it inspired me to create Perseus in Soul Calibur. I have 11 characters I'd like to share.